Join us together with your baby and/or toddler (aged 0-5) to our Torah Tots Challah Bake with a Bagel Brunch! 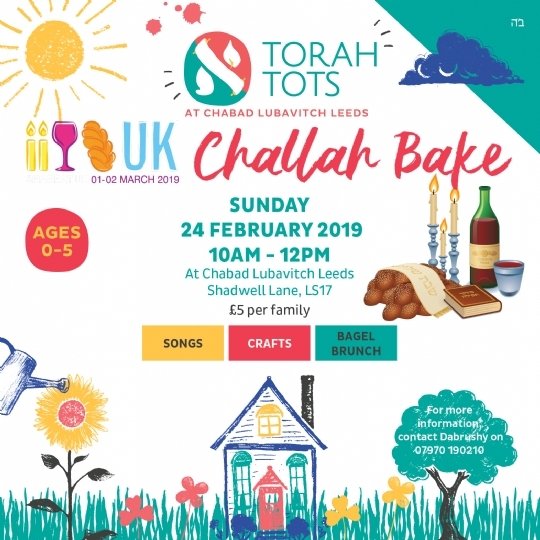 This session will be all about Shabbat in honour of Shabbat UK, with a Challah Bake, songs, crafts and fun. 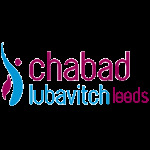 Sunday 24 February 2019, 10am-12pm at Chabad-Lubavitch Leeds, 168 Shadwell Lane, LS17. £5 per family including Bagel Lunch. To help us make sure we have enough supplies, it would be much appreciated if you could RSVP. Contact me on 07970 190210. Shabbat Shalom and looking forward.